FLOWERS ARE THE QUINTESSENTIAL SYMBOL OF LOVE, SOMETHING LIVING THAT EMBODIES A CORE OF NATURAL BEAUTY. WHETHER THEY’RE PERCHED ON A WEDDING CAKE OR STARRING IN A TABLE CENTREPIECE, BEAUTIFUL BLOOMS ARE ALWAYS IN STYLE. They are also the single most prominent feature used in the decoration of weddings. Their uses are varied: bouquets, corsages, church and reception decorations … even the cake can revel in the additional beauty of a few fresh flowers. You might use the same flowers to keep a consistent theme running through your wedding, from the invitations to the gown and onto the reception itself. Even ask your florist about fresh rose petals as a natural confetti alternative, but however you choose to use them, flowers will contribute colour and perfume to the proceedings. With so many beautiful blooms to choose from, the task can initially seem daunting. The most important thing to keep in mind is the style you wish for your wedding. Florists work best with a theme in mind, so you need to accurately convey your vision through words or pictures. When picking a colour scheme, think about what will show up in photographs and in the video. Orchids, lilies and tulips not feature in many weddings due to their vibrant colours. Try to think outside the vase when deciding on your bouquet. Be it an extravagant or simple arrangement, the planning should begin no less than two to three months before the wedding. This allows for greater flexibility in regards to changes or substitutions brought on by market availability or other unforeseeable situations. Seasonal choice can dramatically influence prices, so adaptability is also important. When deciding on how to use flowers throughout your wedding celebration, prioritise. Start by focusing on where flowers will make the greatest impact, such as in your bouquet or on your reception tables. Visit your venue and imagine where the flowers will go. What would you like to make a feature of and is there anything you want to cover up? From there, your overall theme and colour palette will affect your floral decisions. If your aesthetic is clean and modern, one or two flower varieties with touches of greenery will create a strikingly minimalist look, or you can evoke a relaxed bohemian vibe by combining a mix of colours in loose arrangements. About six months before the day, once you’ve decided on a general look and budget, consult a florist. Research suppliers in your area, ask recently married friends for recommendations or if you have a wedding planner, ask them for recommendations as they would have a list of suppliers that they have work with and they would recommend the best based on your budget and work on your theme. The date is an important piece of information for you to share with your florist. It not only has an impact on the price of flowers, but will also determined whether specific blooms are available. If you’re on a tight budget, combine flowers with other props such as glassware or tea light candles to create a wow factor. 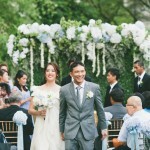 Flower petals scattered across tables and aisle walkway can also create a beautiful ambiance. Make the most of the arrangements by transferring flowers from the ceremony to the reception in vases or pots rather than buying separate blooms for each area. To keep a cohesive theme, use different shades of one or two colours and create variety with different shaped blooms. You could use one tone to unite the bride’s bouquet and groom’s corsage and a slightly different shade for the bridal party. Personalise bouquets by securing them with ribbons to match your décor or fabric from your gown. If you don’t fancy tossing the bouquet, consider giving it to your best friend, mother or other special guest as a way of thanking them for their support in planning your big day. After the wedding is over one of the biggest wastes is watching something so stunning slowly fade and wilt. Why not have your bouquet professionally preserved as a beautiful keepsake of an unforgettable celebration? Freeze-dry your flowers immediately after the day if you’d like to save them as a memento. Flowers with large petals bruise more easily, especially if they are white, keep these away from high-pressure areas such as your groom’s lapel. Roses are the most popular choice of wedding flowers, they are in bloom all year round, suit various themes and are considered to be the epitome of romance. Mixed spring blooms like anemones and poppies promote the idea of new life and vitality moving into summer.Peonies are one of the most popular bridal flowers. Create a bouquet with a mix of blooms for a fresh, summery look. Classic and simple, this style works with any wedding look. This is a structured half-moon shape. It is great for grand occasions and statuesque women who can carry it off. A small bunch of flowers. A globe of flowers which hangs from a ribbon, hung on the wrist. My husband and I were really fortunate to have Patricia plan our wedding. We both have very busy work and study schedules and I was outstation so we really needed someone trustworthy,reliable and responsible to coordinate and plan our wedding.Needless to say, Patricia fulfilled all those requirements and then some! She was attentive to our needs and requests, gave great suggestions on entertainment and vendors and also had valuable input regarding those small but important details that are often overlooked. In the weeks leading up to the wedding, she had already arranged itineraries and schedules ; had put together a contact list of all the relevant family members and friends involved and who would be responsible for each task. She liaised directly with all the vendors involved and executed the necessary plans in a timely fashion. It really helped to take the edge off and reduce our stress as all these things had been settled earlier on. As such, on the wedding day,during both the church ceremony and dinner reception everything went smoothly and without a single hiccup.My husband and I,as well as our bridal party and families could pretty much just sit back, relax and enjoy the day as everything had been taken care of. She is a true professional and we couldn’t have asked for a better planner. These people made #SriKahwinLeu possible. Love how Make Up Artist Jade How transformed me into a blushing bride and glammed me up for the dinner reception. And Kokilah Reddy dolled me up and turned me into a ‘maharani’ for the day. Team MY wedding planner led by Lane Ho Yunn Shing put up with all my requests and executed them perfectly. A big shoutout to photographers & videographers from Armadale Weddings for capturing the precious moments. We wish to thank you for the wonderful job you did to bring about a successful wedding ceremony and dinner of our son Kelvin with Yvonne on 17 Jun 2017. You have done a great job to coordinate and plan this event with me. We appreciated your many advices and handling of details with effective control allowed us to relax and enjoyed this perfect event. We received many glowing compliments from our guests of this beautiful and well orchestrated ceremony. It was mentioned as the most memorable and enjoyable wedding ceremony. The interesting photographs and video slide have all guests attention. With live feed constantly keep all entertained. Do give our thanks to Mun Keat and Armadale. Photo booth is the most popular ….. only complaint is the queue. William is great emcee and did a fantastic job. Wishing Tree florals decor of the banquet hall was so romantic and lovely. And great music and song too. All the above is made possible with your assistance and planning. Our thanks to you and your team members for this amazing and memorable ceremony. Lane once again you have our sincere thanks for well coordinate and control day ceremony and evening dinner. We appriciated your concessions to our many requests. Dear Patricia, I have never seen or met a wedding planner who is perfect. You were so perfect, you made all this happen. Thank you so much from the bottom of my heart. Thank you again from me and my wife. My husband and I highly recommend Lane from My Wedding Planner! As we reside overseas, we needed a local planner to organise the wedding dinner my parents were hosting. We mainly communicated via email and text. Lane was prompt to respond, proactive and excellent at problem solving overall. Most importantly, the day of the event ran smoothly with many compliments from the guests and everyone had a great time thanks to the effort of Lane’s team and all the other team of vendors involved. It was a great surprise to everyone that everything ran on time and spot on according to schedule! It was a really great experience working with GiGi from My Wedding Planner. She understood our needs perfectly and was very quick and efficient in putting everything together – from collecting quotations from suppliers, to sourcing everything we needed. She was very patient and understanding, and was very proactive in giving us regular updates. We highly recommend that all couples have a good wedding planner, and highly recommend GiGi and her team! It was a great planning experience with MY wedding planner! I definitely will introduce to my friends for their wedding event. I would like to shout out big thanks to my wedding planner Lane, and also Lily from Wishing Tree for their professional job done and effort they have put into our wedding! 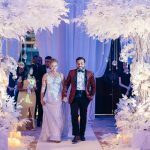 The process of styling our wedding decoration were much more easy with professionalism and ideas of MY wedding planner and Wishing Tree. They able to convey clear communication to us and stay within our budget. Most importantly, they listen to my dream wedding ideas and achieve accordingly to what I want. Our wedding is one of the most beautiful wedding that we have been, big thanks guys xoxo! Just dropping a note to let you know how much we appreciated your help for our wedding in Saujana. and details to consider that it became quite overwhelming. Deciding to engage your service is one of the best decisions we made! You were awesome! You took everything off our hands and planned everything, down to the smallest detail. We are thankful for the effort you put in in making sure everything was running smoothly. Thanks for being so patient with us when we were late at replying your emails. Thomas and I engaged Lane as our wedding planner for 28Mar15. We got to know her through our wedding day photographer, Paul Kong of CK Gallery. Throughout the wedding planning journey, we saw Lane’s contribution in venue selections, liaising with vendors and most importantly, up-keeping timeline of events for the day itself. While we ( Thomas and I ) are occupied with customary and family’s request, Lane was prompt at coordination with hotel especially on the wedding day itself. We have been to weddings which are not timely managed where the newlyweds are stressed. We are fortunate to have not experience that. Our wedding banquet started timely and the food was superbly served. We believe that wedding planners’ experience in the event handling is the most helpful element for our big day. Our wedding was beautiful and memorable to all our guests. Husband and I are not the most organized people on earth and we knew from the beginning we needed a wedding planner. Lane and her team was great! Not only did she keep us on track but she also went above and beyond our expectations in negotiating with the vendors to get us great deals. Had an unforgettable wedding! Definitely great value for the service provided by Lane, Patricia, Gigi and the team! Thank you guys! We just wanted to take a moment to express how thankful we are for everything you have done for us over the past year and a half. You’re constant patience, hard work, diligence, understanding and assistance truly made our wedding day so magical and special. From the lead up right through to the day, you were always there to help. Even just having you there on the day made me feel so calm. I knew you had everything under control. We cannot thank you enough. I would not hesitate to recommend your services to anyone. Thank you so much. Dear Lane, you are the most amazing wedding planner ever!! Thank you for being part of our big day, we could not have had such an amazing wedding if it wasnt for you and your team. Thank you. Thank you. Thank you!! ♥ Your sweaty bride. Patricia and Lane for helping me make my wedding possible given my busy schedule. 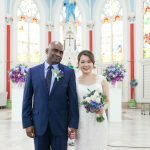 Me and my wife decided to get married in Malaysia and we contacted Patricia to help us for wedding planning. 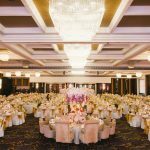 Professional wedding planner was our only reasonable option for making all paperwork needed for wedding in foreign country. Our case must have been very challenging because we had really strict timetable and two so different countries included, Laos and Finland. Nonetheless Patricia managed to handle all with professional and efficient touch so we had clear information what to do before coming to Malaysia and which tasks we have to do together in Malaysia. We also apply express license for wedding and with Patricia’s help we got all necessary paperwork done easily and got married within only few days. We were pleased with Patricia’s help. Just want to thank you for your help on legalised my documents. Finally we had a wonderful wedding in Prague, Czech Republic. My husband and I are expats living in Kuala Lumpur from Australia. We were initially quite daunted about the process of marrying in a foreign country until we found Patricia. Patricia was very professional and organised in her approach, yet a friend at the same time. My husband and I hold fond memories of our wedding service, and with Patricia’s help it was a wonderful day to be cherished always. We are tourists from Washing DC, USA. We planned our 1 month holidays in South East Asia and with Patricia’s help, we completed our civil marriage in Malaysia. We traveled to many beautiful places and islands, from East Coast Perhentian Kecil to East Malaysia Sipadan, we truly enjoyed our honeymoon. Thanks Patricia for providing helpful travel information besides planning our stay in KL and arranging a photographer for us. Big thanks to Patricia, you’ve done a great job. We love your wedding decoration ideas very much! Our guests had a terrific time at our wedding dinner party in KL, and a huge thank you goes to you for making it such a smooth and enjoyable evening. From the months of hard work in choosing the venue and coordinating with the vendors, to the valuable input in decorations and wedding favours, and your attention to detail on the evening itself – you guys were fantastic!! And also thank you for your patience (esp Lane) in putting up with our endless suggestions and requests, strange hours calling you, odd tempers and unsubtle humour. Thank you for making this one magic moment in our life. You will always be remembered. We can’t thank you more for helping to make our wedding such a success event. 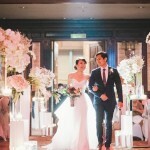 We both have truly enjoyed the 2 receptions with nice décor and atmosphere. It was lovely to be able to catch up with so many of our loved ones and having a great time together. Most importantly we knew very well that the gathering was memorable, and it was truly valuable for us too. Without you, the events would not be as successful. Once again, thanks Pat and Edward! You have no idea how much we love the pictures that you sent it to us. It is great and the wedding was all very beautiful. Thank you, thank you, thank you so much for the lovely pictures. Rob and I would like to Thank You so much for all your organisation in preparation of our wedding day. Things could not have gone better. You did a fantastic job and we have told all our friends about you! Copyright © 2010 - 2019 My Wedding Planner Sdn. Bhd. All rights Reserved. Powered by WhiteBean Sdn. Bhd.